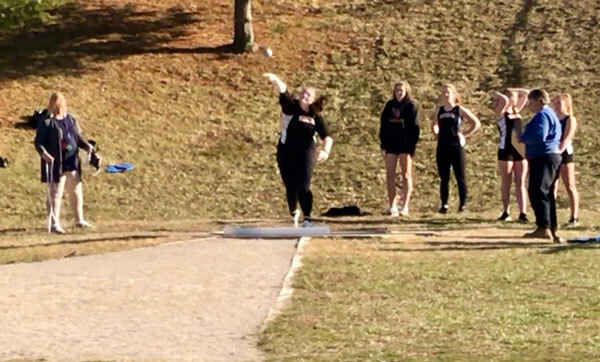 Pictured, Elise Dodel makes her record-setting shot put throw in the 2019 track and field season opener at Columbia High School. 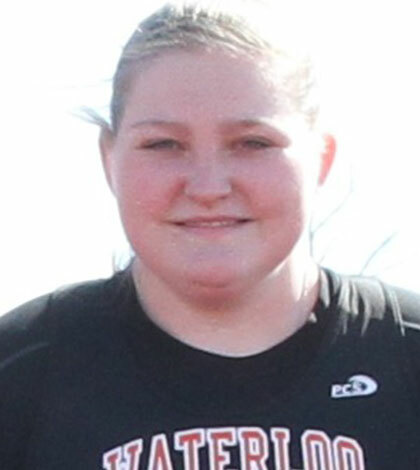 The Republic-Times Athlete of the Week is Waterloo High School track standout Elise Dodel. The senior broke the school’s 34-year-old shot put record previously held by Jennifer Berry during the outdoor season opener at Columbia High School on Monday with a throw of 35 feet. Dodel, who already holds the school record in discus, will be attending the University of New Haven in Connecticut this fall on a track and academic scholarship.